Becka knew she wanted a pear shaped rose cut diamond. She wasn’t into the traditional round white diamond look, but wasn’t sure what color or size she wanted exactly. 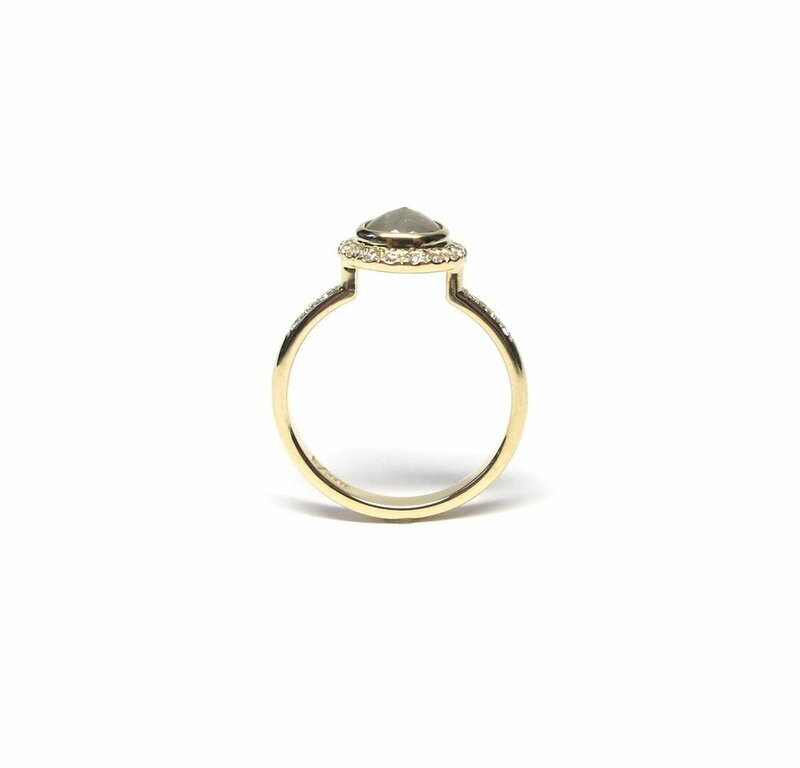 We sourced the most beautiful grey rose cut diamond for her and bezel set it in 14k yellow gold with a small halo of white diamonds. She wanted to keep the band simple, with just the addition of 3 diamonds on each side of the band. As a surprise to the couple (they happen to be friends), we snuck in a little “B” cutout design on the bottom of the setting, since their names are Becka and Brandon. She absolutely LOVED when she got the ring and found this special part on the ring.